The oldest State House in America is now closed to the public amid Connecticut’s budget problems. In addition, millions of dollars worth of artwork could be removed from the building. 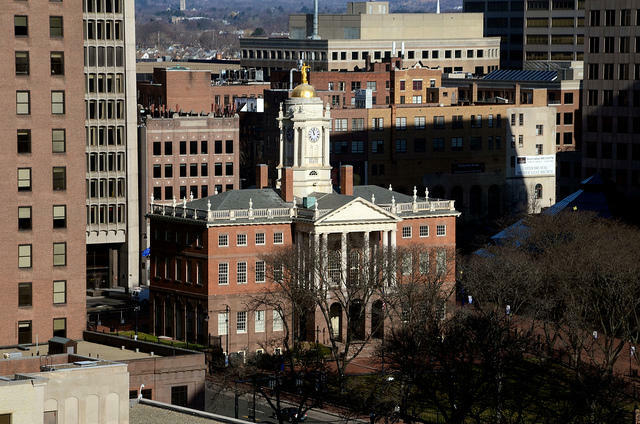 At 220 years old, Hartford’s Old State House is a relic from the past. It’s even thought to be inhabited by ghosts from our state’s history. 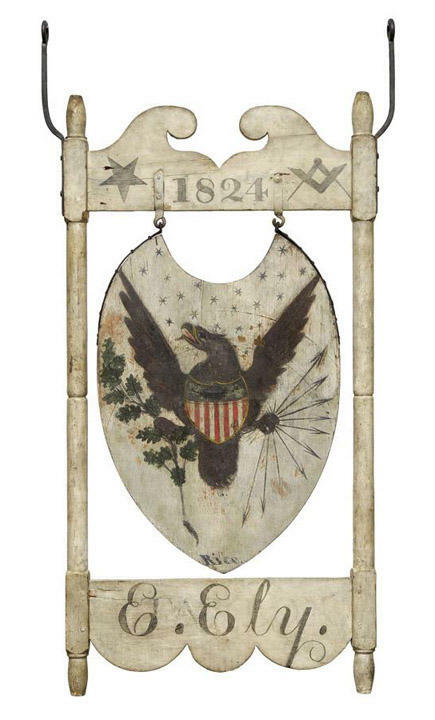 But this Connecticut treasure is now closed to the public and it may even lose its historic memorabilia -- the result of the state’s ongoing budget problems. 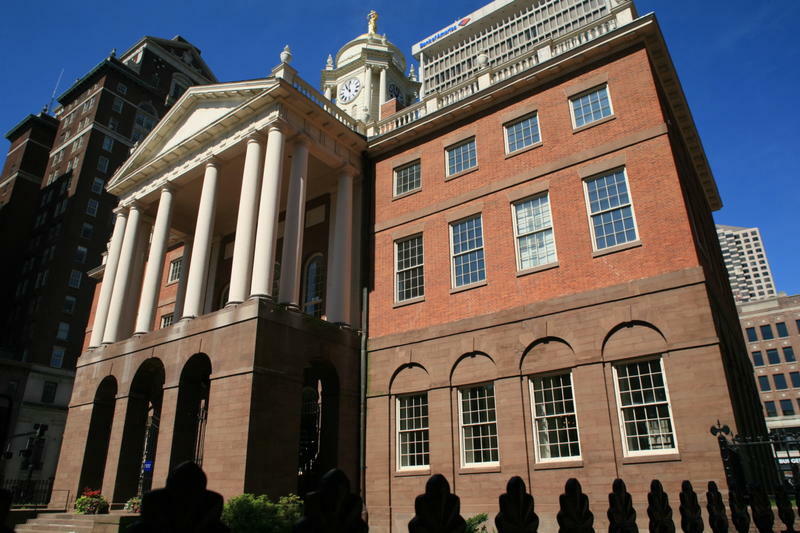 This hour, we examine the history of the Old State House and discuss what the future holds for the building. Memorabilia-Filled Exhibit Celebrates "Growing Up in Connecticut"
Over the last year, the Connecticut Historical Society has been traveling the state asking residents "what was it like growing up in Connecticut?" 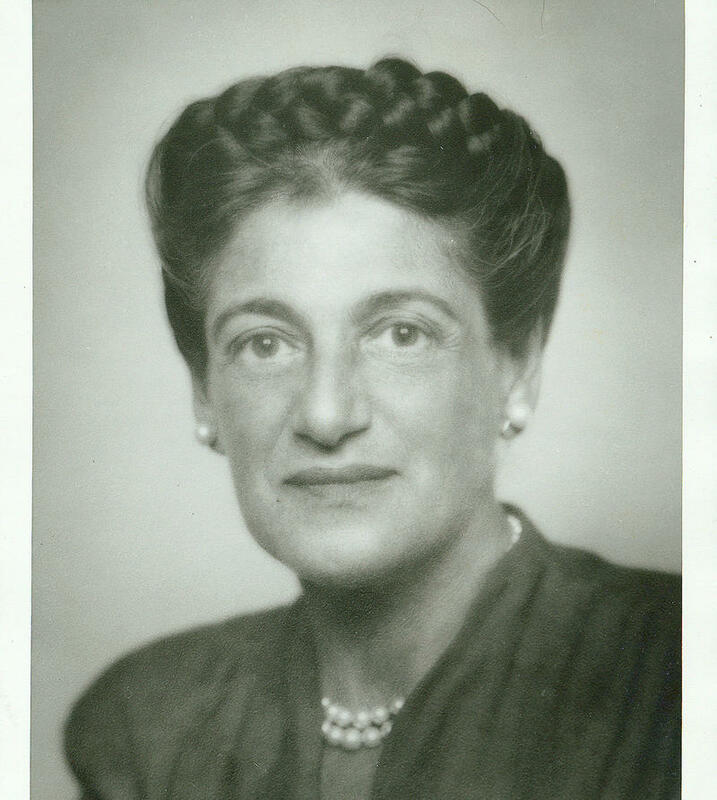 A Woman and Her Store: Remembering Beatrice Fox Auerbach and G. Fox and Co. 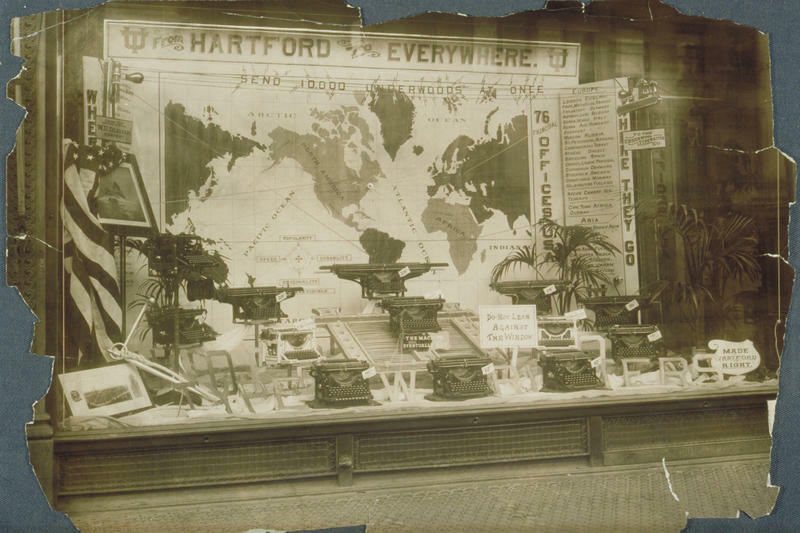 This hour, a panel of experts and historians gives us an in-depth look at the life and legacy of Beatrice Fox Auerbach, owner and CEO of Connecticut's most beloved department store, G. Fox and Co.
Highway travel today is notable for the number of services available on both interstate and secondary roads. Automobile fuel and repairs, food, and lodging are just some of the amenities available, all easily located thanks to an abundance of signs large and small. Houses, apartments, businesses, schools, places of worship. 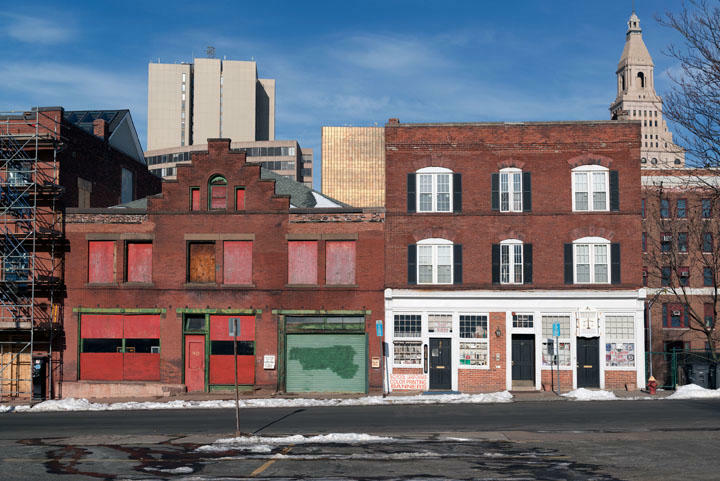 Like all cities, Hartford’s built environment—its physical structures and shape—has changed over time for many different reasons. As the population grows and changes, different voices influence the city’s identity, and new building materials and resources become available (or disappear). 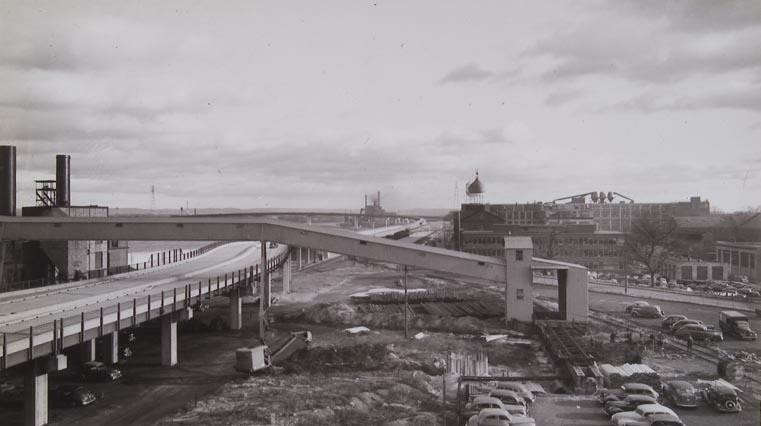 This year, with a series of onsite and offsite exhibits, the Connecticut Historical Society is exploring the history of Hartford’s modern cityscape, as well as the city’s urban spaces today. The Connecticut Historical Society moved into its current headquarters building at One Elizabeth Street in Hartford in 1950. However, the organization pre-dates the move to this location by more than 100 years and it had several earlier locations. The CHS was founded in 1825 and is one of the oldest state historical societies in the country. 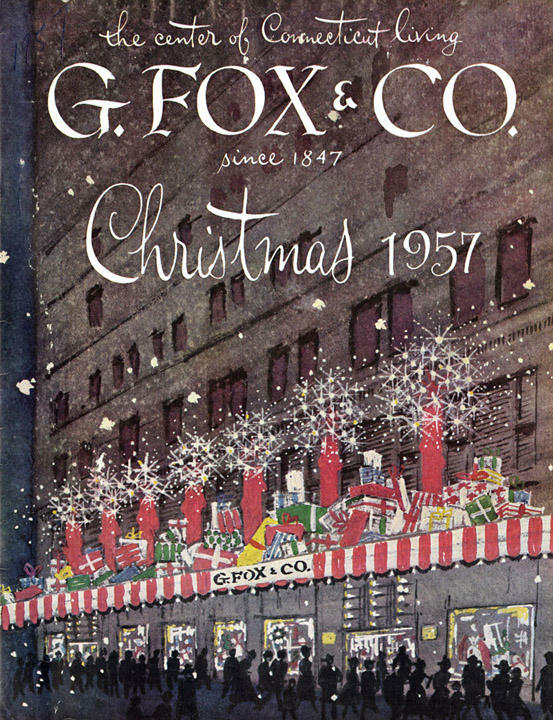 Right after Thanksgiving, G. Fox & Company decorated their magnificent store. People from across the state drove into Hartford just to marvel at the marquee. In the 1950s it featured big candles and colorful boxes. However, the marquee most people remember was the charming Colonial Village. The village included small replicas of Colonial churches and houses from across Connecticut. The front display windows were also festive and inviting. Children pressed their noses to the glass to get a better look at the brightly lit mechanical ice skating animals. Beginning in the mid-1930s, state and federal governments examined ways to improve road transportation around the country. While some federal roads linked major population centers, most areas still struggled with a variety of state, county and town roads, ranging in condition from decent to abominable. With the run-up to World War II the federal government looked for ways to improve transportation that would be needed if the U.S. went to war. 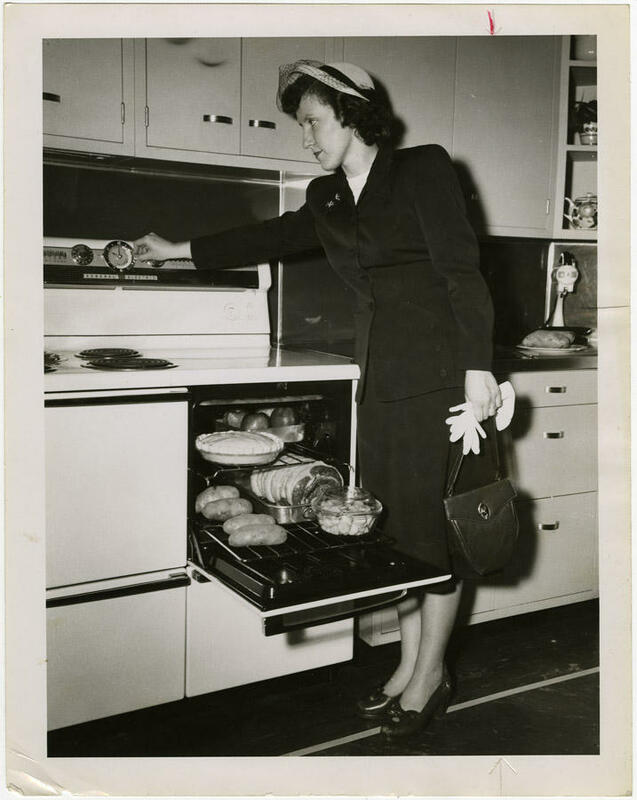 In a November 1934 article, Agnes Heisler Barton recognized the kitchen as the most modern room in the house. Throughout the nineteenth and twentieth centuries, kitchens changed more radically than other rooms. The styles of chairs and other furnishings might change, but a new appliance for cooking might easily be a brand new invention. 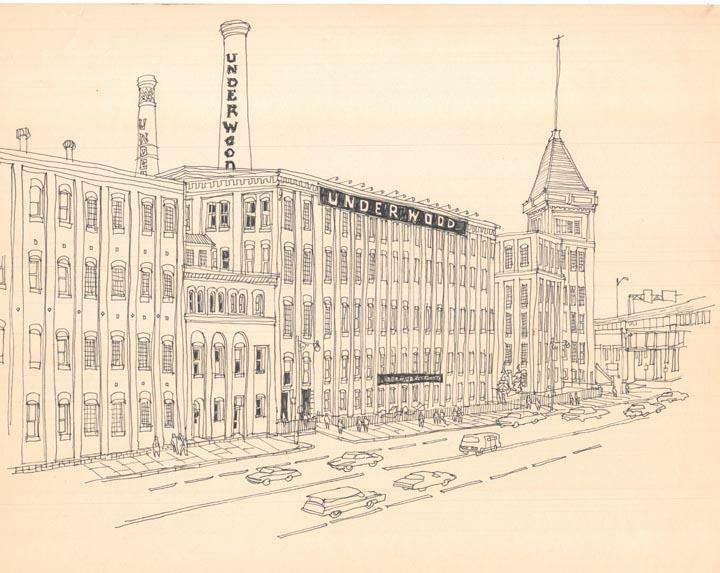 What do the Bigelow Carpet Company of Enfield, Underwood Typewriter Company of Hartford, and Cheney Brothers Silk Manufacturing Company of Manchester have in common? They, and many other companies, had factories in Connecticut which survive to this day, while the companies that built them do not. Before the age of the computer, typewriters fulfilled our need to write faster than our pens would allow. The gentle click of keys on a keyboard are no match for the loud strikes of a letter key pressing paper to inked ribbon and platen to create an inked letter upon a clean white page. The end of a line of type was signaled by the loud ding of a bell followed by the slamming of the carriage as a new, fresh line of paper appeared. 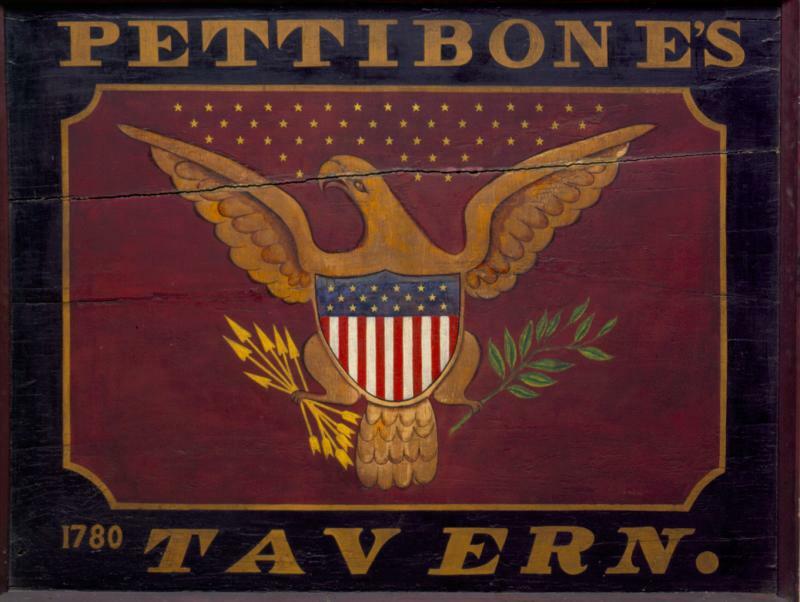 Just off Route 202 in Simsbury is the former Pettibone Tavern, a local landmark that has served travelers since 1780. Built by Jonathon Pettibone Jr., the establishment became an important stop along the Boston-to-Albany Turnpike and hosted important figures like George Washington and John Adams. The 19th century saw an explosion in the popularity of jewelry made from human hair. Because hair does not decompose after its removal from the body, it was considered a symbol of eternal life. Locks of hair were often given as tokens of friendship, love, or grief and these locks were sometimes incorporated into jewelry. 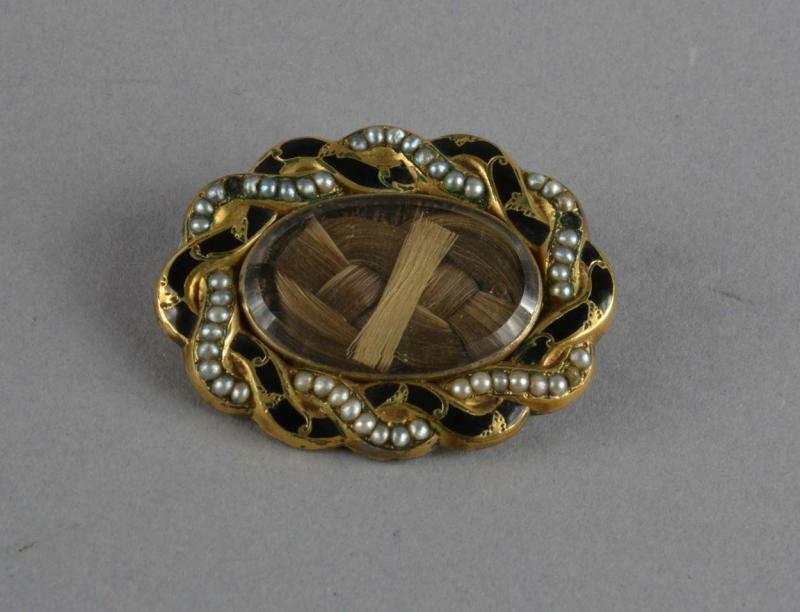 In the mid-19th century, enterprising jewelry makers braided, wove, and sewed hair into such keepsakes, offering a variety of shapes and sizes.